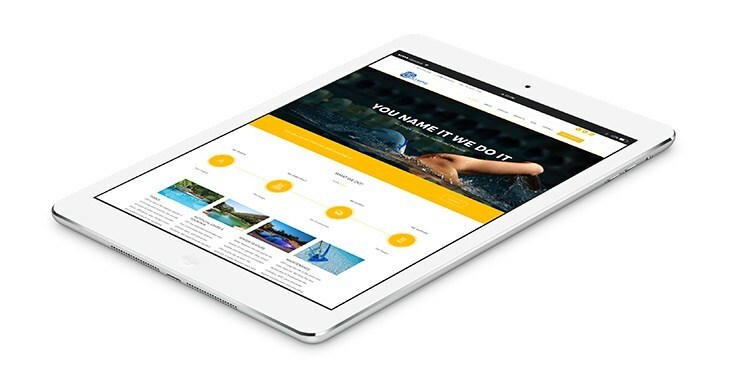 Olympic Swimming Pools Installation L.L.C was established to provide qualitative, timely and extensive construction services in leisure market located in United Arab Emirates. 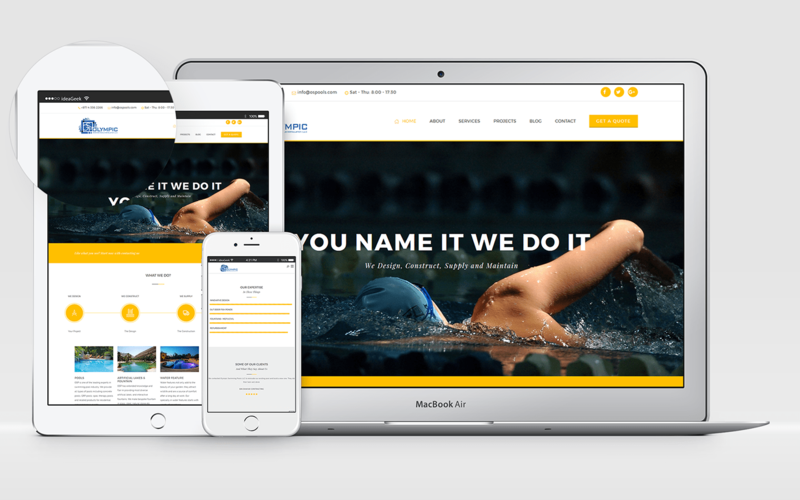 The client already had had a website built on their domain and hosting before they contacted us. The site was old and did not support fluid design. It was running on an old version of WordPress which was not updated for over 2 years. They had no way of showing their projects in the website and it obviously looked boring. When they contacted us to revamp their online presence, the first problem we faced was choosing the correct color theme for the new website. They wanted something very bright and eye catching, in the meantime it should not make the visitor’s eyes tired staring at the site. Something that goes well with their already designed logo in blue was the color yellow. They liked the demo design we showed them. Before we deployed a fresh version of one of the world’s most powerful CMS, WordPress we had to make sure their host was able to handle the newest version of PHP, PHP 7.1. Since the website was already open to the public, we had to make sure the visitors do not see the revamping process. This is where the plugin Under Construction by Web Factory Ltd came in handy. It enabled the registered users of the website to see the redesigning process without any problem. The main theme of the website uses two color combination, Fluorescent Orange (#FFBF00) as main color and Kinda Black (#444444) as the secondary color headings. The bright look of the website gave a “stare for few more time” feeling to the visitors. 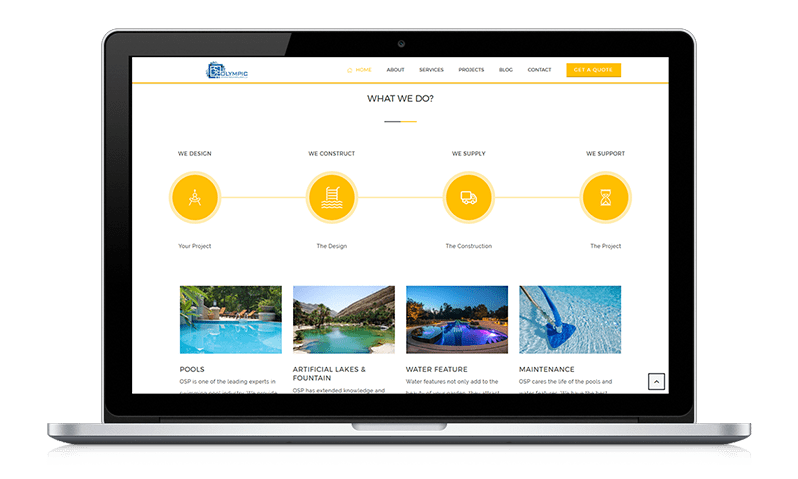 The website looked clean more attractive and their online identity looked professional which enabled the visitors to look more into their projects in details that they have completed from their Project Page.